This document details how to connect to VPN in order to use ImageNow, mapped drives, campus software and other on-campus resources remotely. In the bottom-right of the screen, click the Network icon. This may be either a computer monitor (for a wired connection) or a signal icon (for a wireless connection). Look for UW-Stout VPN. If you see it, please skip down to the How to Connect section. If not, please continue to the Download the VPN section. 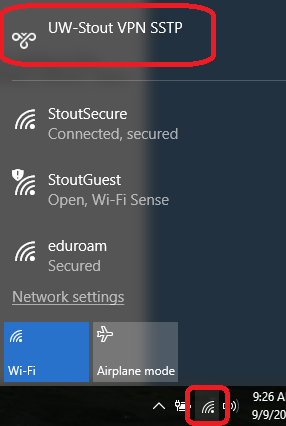 Once installed, the VPN connection is called UW-Stout VPN SSTP. This may be either a computer monitor icon (for a wired connection) or a signal icon (for a wireless connection). 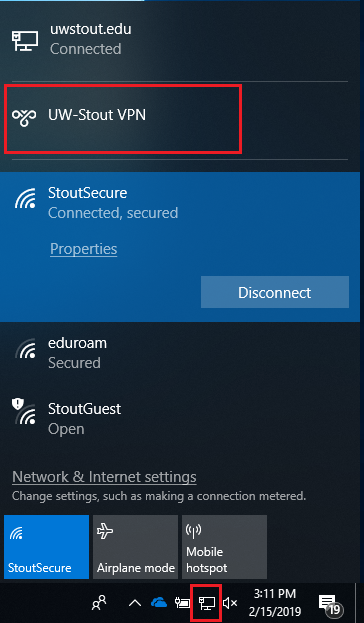 Select either UW-Stout VPN or UW-Stout VPN SSTP, depending on if you had the VPN pre-installed on your Stout-issued computer, and click Connect. You will now be connected to the Stout VPN. Some businesses and organizations prevent VPN connections via their networks. 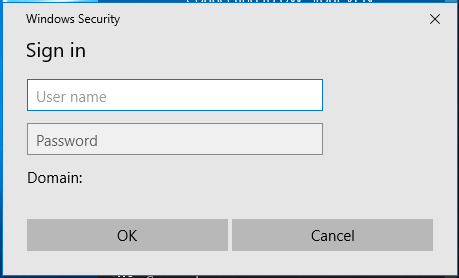 This is the most common cause of VPN connection issues. Please test by connecting from another location or contact your ISP to confirm. If you continue to have issues, please contact the Technology Help Desk.